» Is Melatonin Safe for Dogs? Is Melatonin Safe for Dogs? This post may contain affiliate links. This means we may receive a small commission if you click on a link and make a purchase; however, all opinions are our own. Clicking these links won't cost you anything extra, but it helps keep our site running. Melatonin for dogs. Can you give dogs melatonin? Is melatonin safe for dogs? A lot of owners like to give their dog melatonin to treat a variety of different ailments. Melatonin is largely considered safe for dogs, and it appears to be effective for treating a number of different conditions, but that doesn’t mean it is always appropriate or effective for all dogs. Therefore, you should always consult your vet before administering the supplement to your dog, and it is important to understand what the supplement is, how it works and what kinds of things to consider when selecting a product, before giving your dog melatonin. Melatonin – technically called N-acetyl-5-methoxytryptamine – is a hormone produced by plants and animals, although it appears to play different roles in the biology of each group. It primarily serves as a chemical to combat oxidative stress in plants, but it primarily serves to regulate sleep-wake cycles in animals. However, melatonin is also involved in a number of other biological processes for animals. For example, it helps to regulate blood pressure, and it can play a role in the reproductive cycles – which are often triggered by changing light levels – in seasonally reproducing animals. Melatonin also works as an antioxidant and helps to protect DNA from damage. Historically, melatonin was harvested from the pineal glands of dead animals (primarily cows raised for food production) to produce the supplement. However, harvesting the chemical in this manner increases the risk that a virus will contaminate the hormone, which could cause illness in dogs who take it. But most modern melatonin supplements now rely on synthetic versions of the hormone, which are chemically identical to those found in your dog’s brain. It is important that you consider a number of different characteristics carefully when trying to pick a good melatonin supplement for your dog. 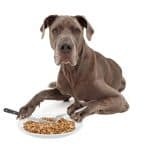 This will not only help give you the best chance of selecting an effective product, but it will also reduce the chances that you’ll obtain a supplement that may harm your dog. Look for products with a reasonable amount of melatonin in each tablet or chew. 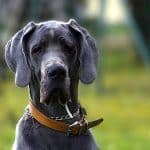 You don’t want to purchase melatonin tablets with only 0.5 milligrams of melatonin for your Great Dane, as you’d need to administer several tablets at a time; conversely, you don’t want to select 5-milligram tablets for your 7-pound Yorkie, as you’d need to break the tablets into very small pieces. Look for products made in the USA, Australia, New Zealand, Canada or Western Europe. Supplements made in the USA or the other countries listed are less likely to be contaminated with harmful ingredients or be improperly labeled. Ideally, you should select a product which is also made from only ingredients sourced from these countries too. Look for products that are made without any potentially harmful ingredients. Some melatonin supplements are made with things like xylitol, which can be harmful to dogs. Additionally, some supplements may contain artificial colors or other problematic ingredients, which are best avoided entirely. If you and your veterinarian agree that melatonin may be helpful for your dog, you’ll want to find a high-quality version of the supplement, which is specifically designed for use in dogs. Many dog melatonin supplements are very similar products, but the following three rise above the competition. Note that a lot of melatonin-containing supplements for dogs also contain other active ingredients, which may or may not be desirable for your dog. K9 Choice Melatonin Tablets are straight-forward, no-frills melatonin tablets produced specifically for use in dogs. Made without any harmful additives, these tablets allow you to give your dog melatonin without having to administer any other herbs or supplements. Ingredients: Melatonin, dextrose, microcrystalline cellulose, silicon dioxide and vegetable stearate. Customer Reviews: Most owners who tried K9 Choice Melatonin Tablets were happy with the product. 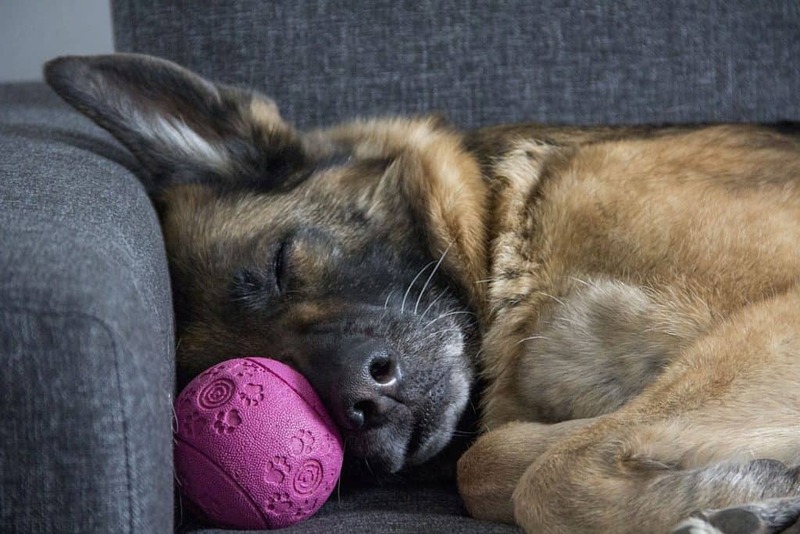 Several owners noted that it helped reduce their dog’s behavioral problems, including anxiety and phobias, while others reported that it helped their dog sleep peacefully at night. Most dogs seemed to take the tablets willingly and accepted them like treats. Bottom Line: K9 Choice Melatonin Tablets are a great option for owners looking for a safe and effective melatonin supplement, which does not contain any additional supplements. However, because these tablets are relatively small, they aren’t a great choice for small dogs, as you’ll have trouble breaking them in half. Owners of small dogs should opt for the 1-milligram tablets instead. NaturVet Quiet Moments Soft Chews for Dogs are designed to help relax your dog through the use of several different ingredients. They are made with melatonin, but they also contain thiamine and L-tryptophan to help calm your dog and ginger to help settle his stomach. Ingredients: Chamomile, thiamine mononitrate, passion flower, ginger, L-tryptophan, melatonin, brewer’s dried yeast, canola oil, dried potato product, flaxseed, glycerin, lecithin, maltodextrin, mixed tocopherols, natural flavoring, rosemary extract, sorbic acid, tapioca starch, vegetable oil, and water. Customer Reviews: The majority of owners who tried NaturVet Quiet Moments Soft Chews for Dogs rated the supplements positively and explained that they helped reduce problems with anxiety, insomnia and behavioral problems. Unfortunately, some dogs didn’t seem to like the taste of the soft chews, which may make them difficult to administer. Bottom Line: If you’ve already tried melatonin and found it insufficient for your dog’s needs, you may find that this multi-supplement formula is more effective. However, it is important to note that there is not very much melatonin in each chew; according to the manufacturer, each one contains 120 micrograms (0.12 milligrams) per chew. VitaCalm is a dog melatonin supplement distributed by the Institute of Pet Nutrition, which is designed to help soothe your dog when he is feeling anxious or help him get a good night’s sleep. Comprised of several different anxiety-alleviating supplements, VitaCalm has proven effective for many dogs. Customer Reviews: Most owners were happy with the results VitaCalm provided, noting that it helped to reduce their dog’s stress and anxiety. Others found that it helped their dog sleep soundly through the night. However, as with some other dog melatonin supplements, palatability problems were an issue for some dogs. Bottom Line: VitaCalm appears to be as effective as most other high-quality anxiety-relieving supplements, and it contains a variety of different ingredients that will help your dog get a good night’s sleep. Observant owners may, however, note that it features the exact same ingredient list that NaturVet Quiet Moments Soft Chews does, which means they are probably both manufactured by the same company, and simply packaged and marketed differently. What is Melatonin Used For in Dogs? Melatonin is currently not licensed for use in dogs, but many veterinarians still recommend it for their patients. This type of “off-label” use is common for many other medications given to dogs, but it is important to understand that it is riskier than using a medication or supplement that is licensed for use in dogs. While most dogs sleep very easily, others can have trouble doing so for a variety of reasons. Melatonin often helps dogs suffering from insomnia to fall asleep more easily and stay asleep for longer once they’ve done so. Some dogs – particularly older individuals – begin staying up through the night and sleeping during the day. Because melatonin is one of the hormones responsible for maintaining proper sleep-wake cycles, it can help get these dogs back on a proper schedule. Melatonin can be useful for treating a variety of different types of anxiety. This includes both generalized anxiety, as well as anxieties brought about by specific stimuli, such as being separated from their owner or visiting the vet. Melatonin can also help reduce the anxiety some dogs experience in response to fireworks or thunderstorms too. Cushing’s disease is often caused by a steroid-producing hormone in the brain. Melatonin helps to block the body’s ability to use this additional cortisol produced by the tumor, thereby reducing the severity of the symptoms. Melatonin typically produces fewer of the side effects common to most other drugs used to treat Cushing’s disease. Alopecia is a condition in which dogs lose hair – typically on both sides of their abdomen. For reasons that are not well understood, it appears that melatonin may help to resolve the condition and allow dogs to regrow their hair. The reason dogs suffer from alopecia is not well understood, so veterinarians are neither positive that melatonin is effective for treating it nor clear about the reasons it may work. In most cases, your veterinarian will recommend that you start with a low dosage and slowly increase the amount given until you reach the target dosage. This way, you can give your dog’s body a chance to adjust to the higher levels of melatonin in his bloodstream, and you can also stop administering the supplement before serious side effects occur, if your dog proves to be intolerant of it. Can You Give Dogs Melatonin? Is it Safe? Melatonin is generally regarded as safe for most dogs, but some dogs can suffer from negative reactions or experience health problems after ingesting the supplement. This is one of the reasons that it is important to consult with your vet before providing melatonin to your dog. Diabetic dogs. Dogs who suffer from diabetes can become insulin resistant after taking melatonin. Dogs who are taking steroids or MAOI medications. Steroids or MAOIs and melatonin can interact negatively, causing unpredictable results. Dogs taking anti-anxiety medications or depressants. When combined with these types of medications, some dogs may become extremely drowsy, and breathing problems are possible. Alternatively, these combinations can also make some dogs hyperactive. 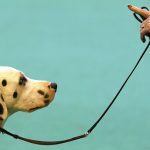 Female dogs slated for breeding trials. Melatonin can disrupt the reproductive hormone cycle of dogs, which could inhibit conception. Dogs who have reacted badly to melatonin in the past. Although it is rare, some dogs appear to be intolerant of melatonin. If your dog has previously had a bad experience taking melatonin, you’ll want to be very careful (and consult with your vet) before administering it the future. Dogs who are taking anticoagulants. Melatonin appears to interact with platelet formation and anticoagulant drugs, so it is important to use caution when administering it to dogs with clotting disorders. Although these conditions are rarely serious or life-threatening, they can still cause your dog considerable distress. Contact your vet immediately if your dog exhibits any of these signs and follow the advice provided. Related: Sedatives for Dogs: Effective Dog Anxiety Medications? It is always important to check the ingredient list before administering any type of medication or supplement to your dog, but this is especially important when giving your dog melatonin formulated for humans. The melatonin used in most products is essentially identical, but some of the ingredients used in the manufacture of the pills, tablets or gummies may be very dangerous for your dog. For example, many melatonin supplements contain xylitol. An artificial sweetener used in many low-calorie and diet foods, xylitol is very toxic to dogs. It can even prove fatal if a dog ingests enough of it. Some melatonin supplements may also have artificial dyes or flavors, which, while not necessarily dangerous, can be problematic, as some of these ingredients may trigger food allergies, and leave your dog scratching incessantly. Have you ever given your dog melatonin? What did you use it to treat? Was it effective for your canine? Tell us all about your experiences in the comments below. 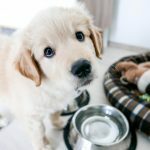 Aggression in Dogs: How Can I Calm My Aggressive Dog? 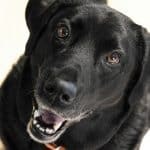 CanineWeekly.com is a participant in the Amazon Services LLC Associates Program, an affiliate advertising program designed to provide a means for us to earn fees by linking to Amazon.com and affiliated sites. As an Amazon Associate, we earn from qualifying purchases.